“Mexico is nothing but resorts, beaches and Speedos!” That’s what we used to think before this recent trip to the “Land Of The Aztecs”. All we had to base our opinions of Mexico on was our one week, all-inclusive resort trip in 2007. On that trip, we basically stayed within the confines of our resort and saw little more than the bottom of our margarita glasses! 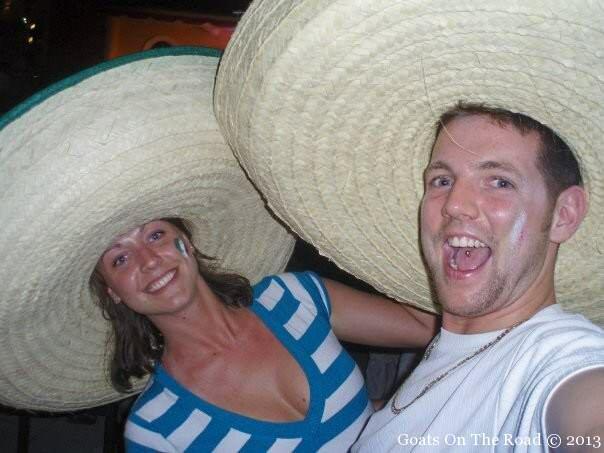 A couple of crazy kids in Mexico, 2007. We had a lot of fun on that trip! But that was 7 years ago. 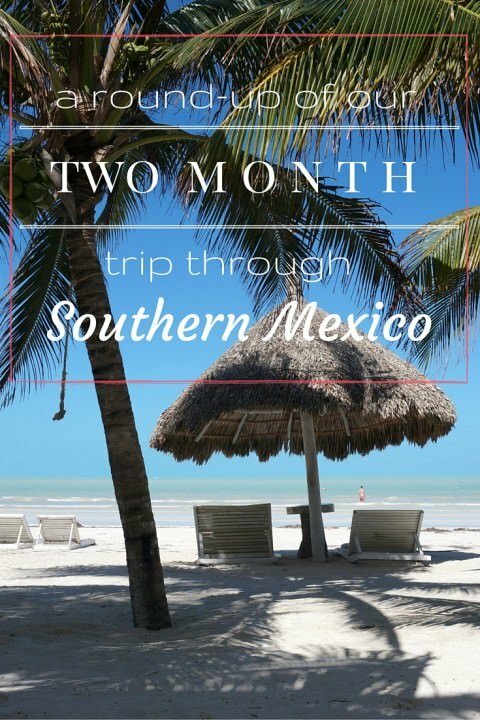 Now that we’ve spent over 2 months here, travelling the country independently, we see that Mexico has so much more to offer than just beach bars and bikinis. There are endless places to visit in Mexico. We found our own path here. One that slowly weaved through a deep history and rich culture that really amazed us. 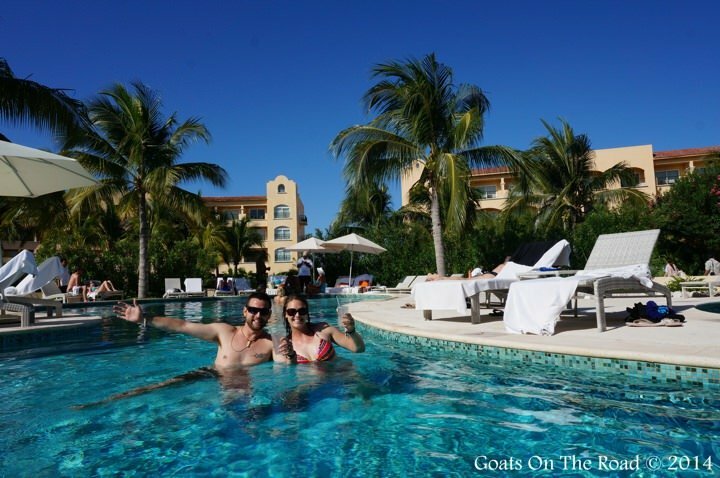 But we have to admit… we did still indulge in the life of luxury while we were in Mexico. For the past few years, our travels have been spent in off-the-beaten-path places. We’ve done some amazing things like diving with humpback whales, traversing the Pamir Highway and trekking the steppe in Mongolia. 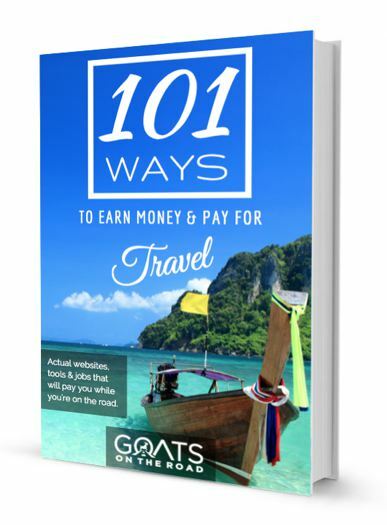 Most of our travel experiences have been in difficult destinations, far from the comforts of street-side pubs and 5-star resorts. Mexico has been different for us. It has been a trip filled with relaxation and indulgence. We’ve done a lot here and yet we feel as though we’ve relaxed for much of the time. 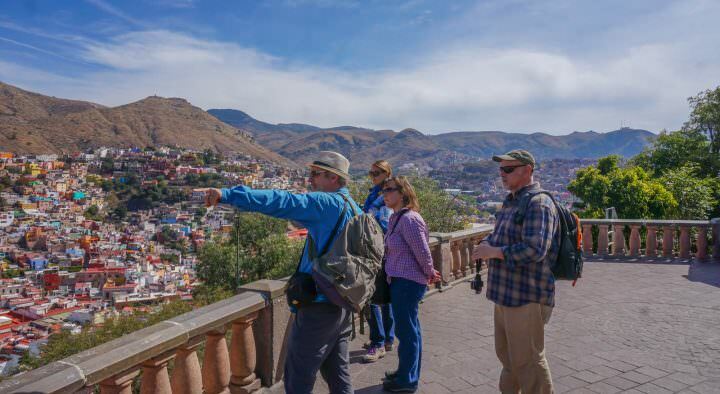 Our days have been filled with sight-seeing and adventure, but also with the comfort and ease of travel that makes Mexico so special. 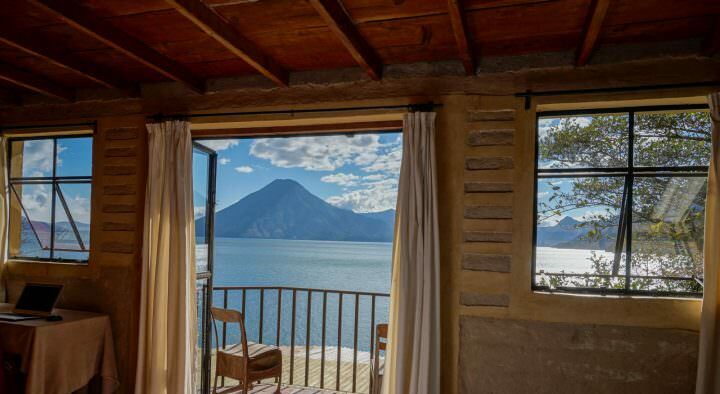 While we have enjoyed freshly ground coffee, sumptuous Mexican cuisine and luxury resorts, we still found our way away from the crowds and into the real Mexico. We didn’t just hug the shores and play it safe in this sometimes rough and rugged republic. 2 months have flown by…So, what did we get up to? We started off in Cancun where we met up with our good travel friend Bernie from Vancouver Island. We hung out with him for 5 days and really enjoyed the city of Cancun. Despite the lack of real Mexican or Mayan culture there, we enjoyed 2-for-1 margaritas in town and delicious picnics on the stunning beach. The beach in Cancun… Just another day in paradise. 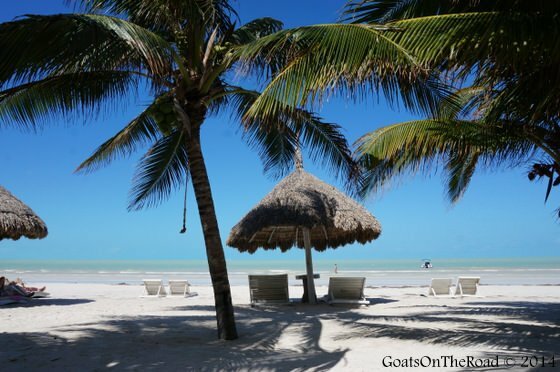 After Cancun, we headed to Isla Holbox where we continued our intense relaxation. This ultra laid-back island was just the place to rest up and get caught up on blogs and emails. We spent most of our 8 days there either on the beach, on our laptops, or on foot, wandering around the dusty lanes. We searched for the fresh catch-of-the-day one afternoon and bartered with the fishermen for our evening meal. We cooked up a delicious fish dinner back at the hostel that night. Check out our Catch Of The Day Fishy Video! We spent 2 weeks in Valladolid and it’s one of our favourite towns to date. 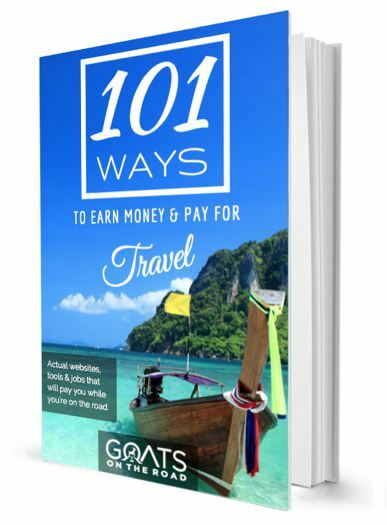 We worked with some hotels and tour operators in the city and got the chance to meet a lot of cool expats, locals and business owners. We stayed at some beautiful guest houses (Casa Hamaca, Posada San Juan, Casa Quetzel) as well as some funky hostels (Candelaria & Fraille). We did a cycle trip to a cenote and Maya village and a tour to see the Flamingos of Ria Lagartos. Valladolid was quiet, quaint and colorful and we could definitely see ourselves living there for a few months sometime in the future. We actually went to Tulum twice and had a great stay both times. The first time we enjoyed cycling our bright red bikes down to the white sand beach and soaking in the sun. 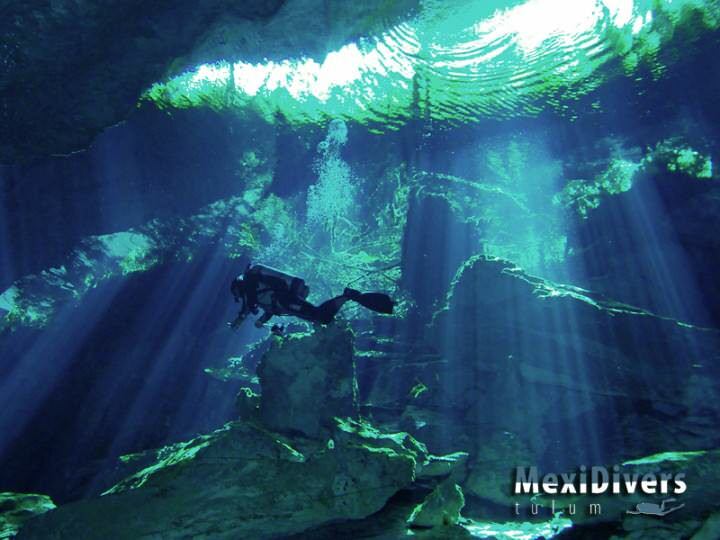 We returned to Tulum after our press trip with Riviera Maya Tourism, and I was delighted to be able to dive in a cenote and in the Caribbean Sea with MexiDivers, both experiences that I will never forget! Between our two visits to Tulum, we were invited by Riviera Maya Tourism to check out some of the adventures to be had along the Mayan Riviera. They put us up in the gorgeous Hacienda Tres Rios Resort where we had a great day of adventure around the resort. We really felt like we were on a Mexican holiday here as we stayed in a stunning room and lived the all-inclusive lifestyle for a few days! Riviera Maya did a great job of hosting us and showed us some sites that were definite highlights of our trip so far. There are endless things to do in Playa del Carmen. (and around). We explored an underground river system at Rio Secreto, watched an amazing cultural performance at Xcaret, visited a local Maya village with Alltournative, floated in ecstasy through the canals at the beautiful Si’an Kaan Nature Reserve and checked out the ancient Tulum & Coba ruins. This was a jam-packed and exciting 5 days and we’re very glad that we were able to see and do so many things in this exciting tourism destination. In Merida we partnered up with Yucatan Tourism and they set us up with our friendly driver Pedro. 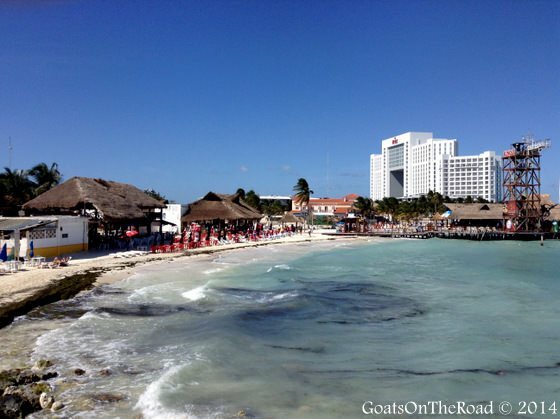 Pedro took us to Progreso Beach where we strolled the streets and lazed on the beach for a day. He also took us to the amazing ruins of Dzibilchaltun, Chichen Itza, Uxmal & the colourful town of Izmal. We walked around the archeological sites in complete awe and although Chichen Itza is the Wonder of the World, our favourite was Uxmal. Merida itself actually feels a lot like a larger, busier Valladolid. The architecture is beautiful and there is plenty to see in and around the city, but the deafening sound of traffic really took away from the city’s ambiance. We only spent 2 nights in Palenque and were there for the same reason that all of the other travellers stop here… the Mayan Ruins! Set deep in the jungle and dating back to 226 BC, these were some of the best ruins we’ve seen. 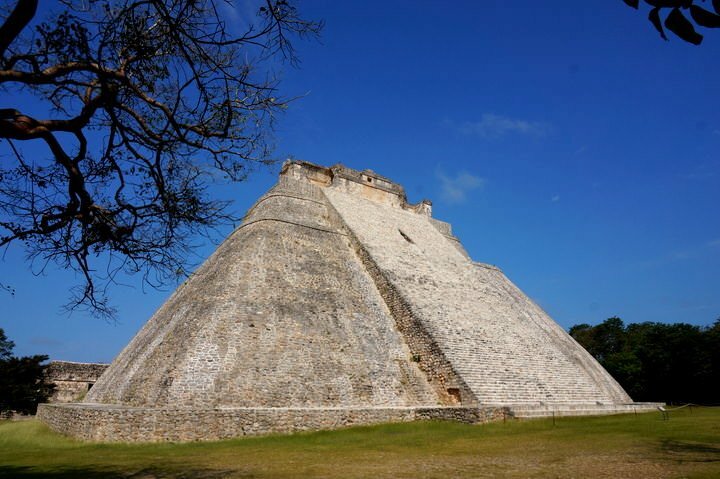 We actually can’t decide which ones we prefer, Uxmal or Palenque, they’re both spectacular. Our new favourite city in Mexico! San Cristobal is absolutely breathtaking. It seemed like every narrow lane we walked down was more brilliant than the last. We spent a week in San Cristobal and we’re already planning to come back and maybe even live here sometime in the near future. It has everything you could need and more. Live music echos from pubs and cafes that line the quiet pedestrian streets, the local people are friendly, the surrounding mountain scenery is stunning and the temperature is cool and comfortable year-round. 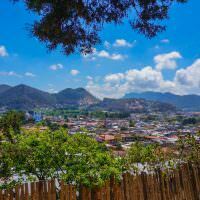 Our days in San Cristobal were spent sight-seeing, drinking wine, sipping on coffee, visiting numerous churches and hiking up to look-outs. We spent a day at the village of San Juan Chaula and were fascinated by the sobbing children being baptised, the chickens being sacrificed and the floor covered in pine needles! We also did a tour out to the famous Sumidero Canyon canyon. We hopped in a boat and cruised through the canyon spotting crocodiles while gazing up at the 1000m high cliffs above us. 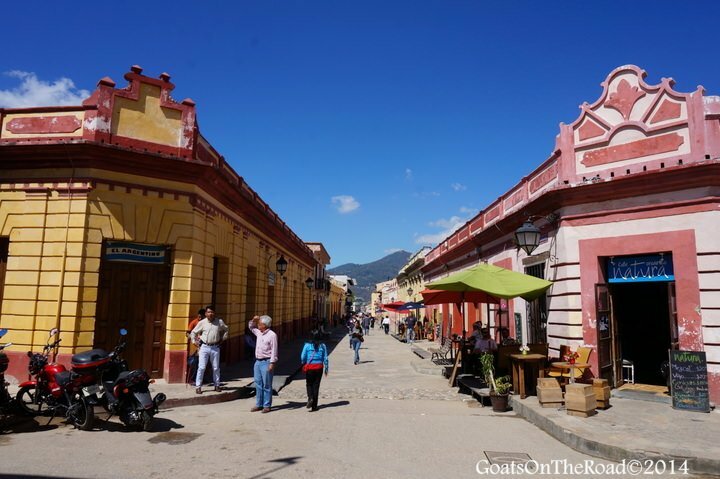 We could have done more day trips around San Cristobal but we just didn’t have the time. Now We’re Off To Belize! After a wonderful two months, our time in Mexico has come to an end. As we sat and finished our last Coronas and our last quesidillas at a restaurant in the city of Chetumal, we actually felt very sad. Mexico was a great place to travel, with a perfect balance of comfort and culture. We had an absolute blast in this country and we’re sure we’ll be back one day soon to explore further north. But now we’re about to hop on a boat and set off on a 2 hour journey to neighbouring Belize! 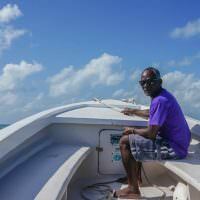 We’re extremely excited to learn about Creole culture, dive in the clear seas and enjoy the island life of the cayes. Great post! I heard so much about Cancún, looks amazing!! Sounds like you definitely saw the highlights! We loved San Cristobal too and the beaches in Tulum are stunning. Did you hear the howler monkeys at Palenque? 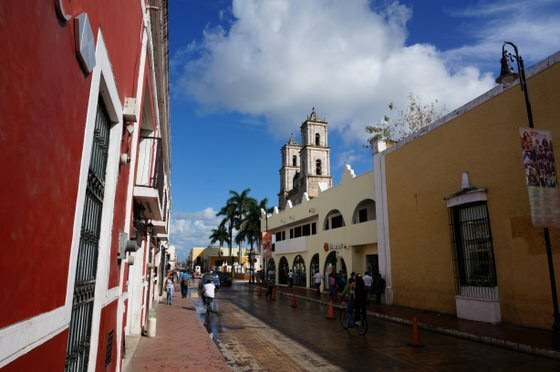 I definitely want to go to Valladolid when I am next back in Mexico, I have heard such great things from other bloggers and now you too. Yes, we heard the monkeys in Palenque! So loud 🙂 Definitely try to get to Valladolid next time, we loved it there. So much to see and do and it’s much smaller than Merida. Any accommodation recommendations for Cancun? There are also numerous hostels around the bus station. Agreed!! Where are you going back to? 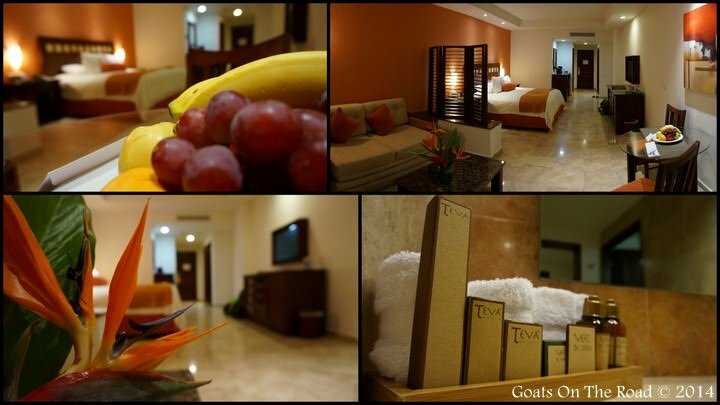 We’ll stay near Puerto Morelos and enjoy some luxury. But we have plans to take some daytrips here and there 🙂 Something at the Yucatan you really want to recommend? 🙂 we’ve been to Chichen itza, valladolid, tulum, xel ha, xplore, jungle maya and playa del carmen. Thanks for the recommendation. We are actually planning on heading back to Mexico this winter and have Oaxaca on our list 🙂 It’s supposed to be great. Never really thought about Mex City…but I guess we’ll have to check it out too! Great blog. It is giving me ideas for side trips in Merida, by the way next time visit Celestun with its pristine beaches and flamingos. Great! Asa mexican I love this area of our country, great food, nature, beaches, culture and archeological sites. Did you go to Campeche? There’s just so much to see in your amazing country 🙂 We are here again, exploring the west coast this time.